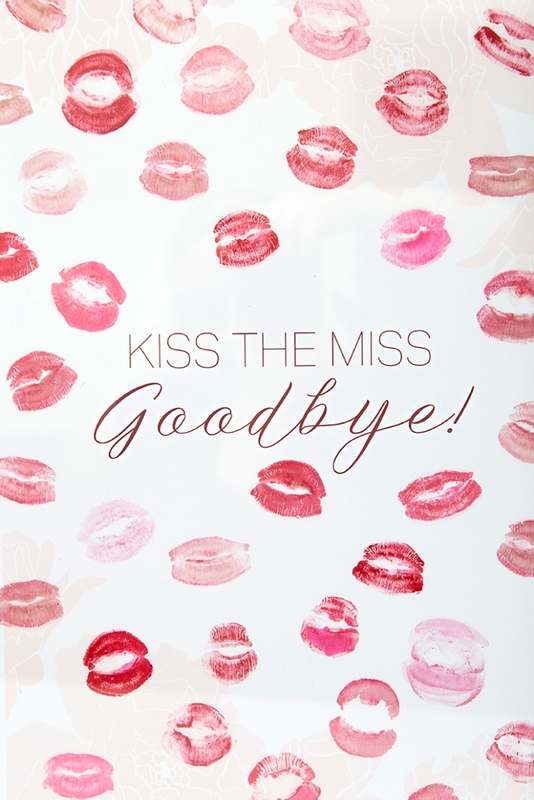 Free, Printable "Kiss The Miss Goodbye", Kissable Guestbook! That’s right! 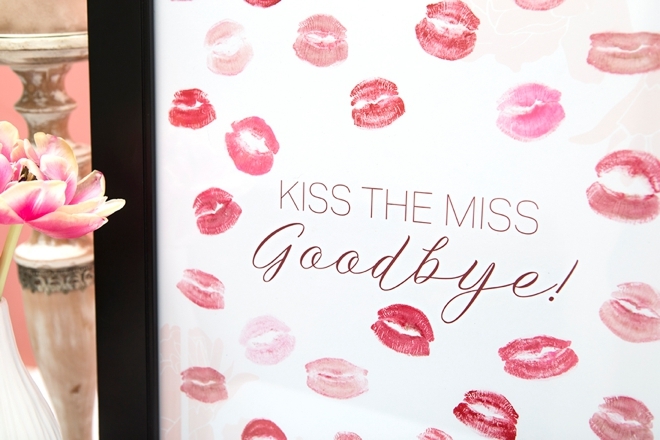 It’s time to kiss the Miss goodbye and say hello to the Mrs life! 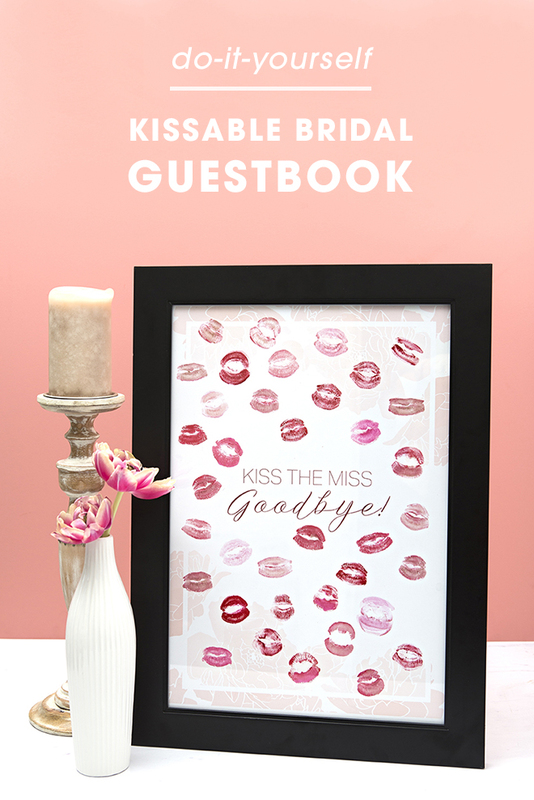 This kissable DIY guestbook is the perfect way to commemorate your bridal shower or bachelorette party and grab loads of smooches + love from all your favorite ladies! 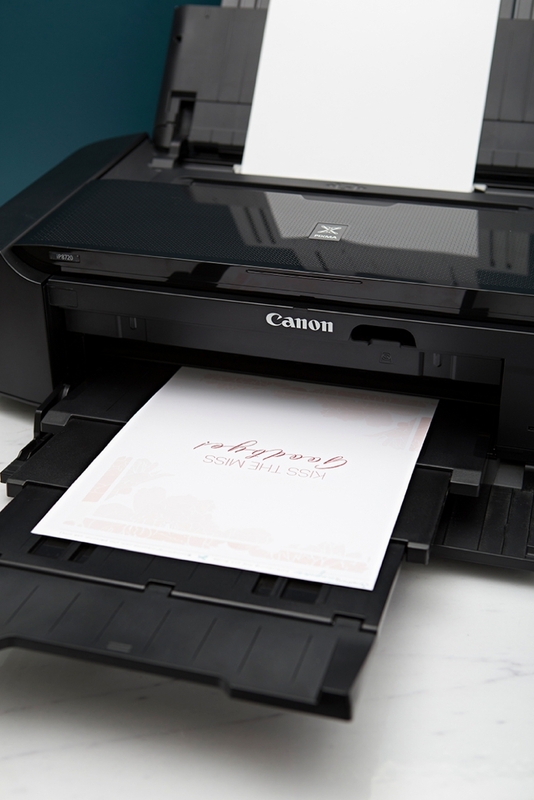 You’ll need the Canon PIXMA iP8720 Crafting Printer to create the large 13″ x 19” print, you know, my favorite printer… but I’m also sharing an 8” x 10” version too. 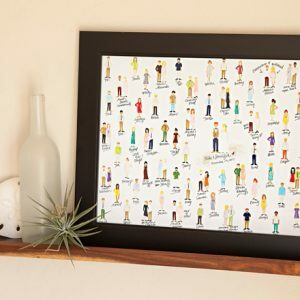 Print, frame and look forward to your own, very personal, work of love art! Ugh… so CUTE and so FUN! 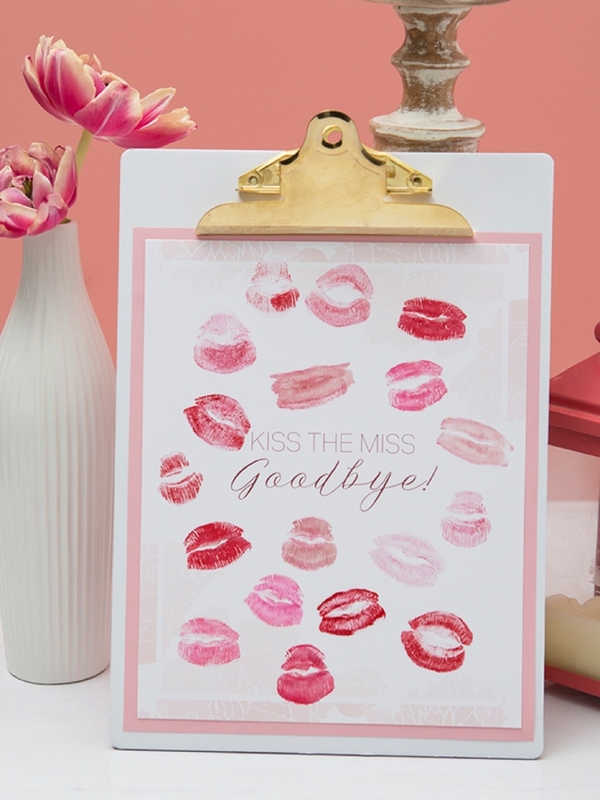 And the best part is every single one of you will have a completely unique “kiss” design… so many special lips in so many special shades. 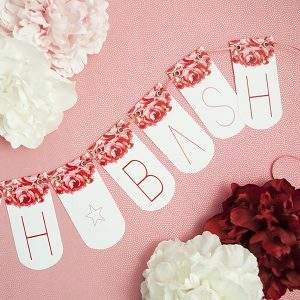 Our free, printable design at the end of the post! 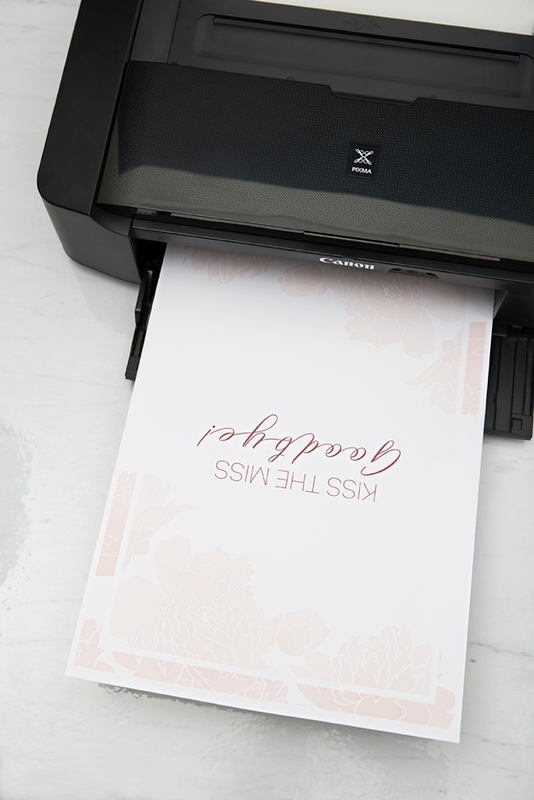 Download the size of print you’d like at the end of the post and print onto matte photo paper. I’m sure you know that I love Canon’s paper, but just in case you didn’t, now you do! 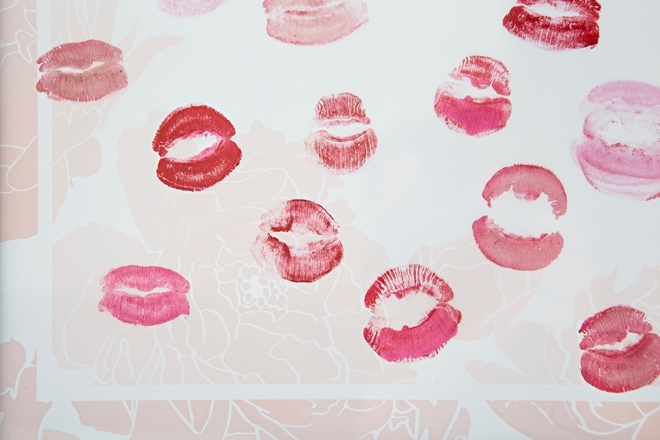 Frame and display on a cute table at either your bridal shower or bachelorette party and watch all your favorite ladies apply their lipstick of choice and kiss this print! 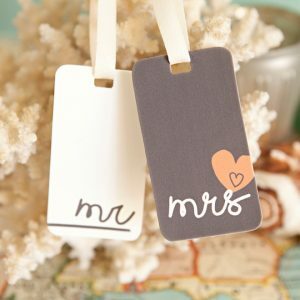 If you choose to use the 8″ x 10″ print, you’ll need to cut it down to size using scissors or a paper trimmer. 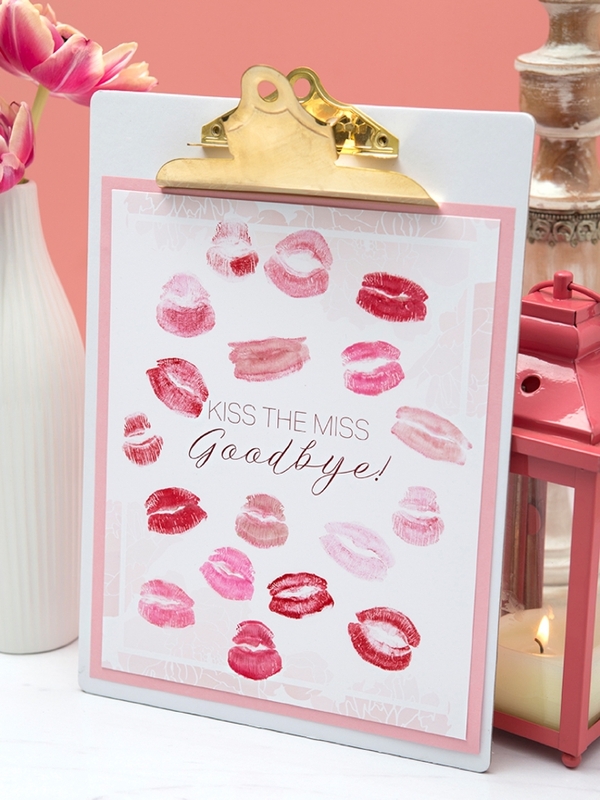 Here I put a piece of pink paper behind it on the clipboard as a little embellishment!